Our service extends throughout the Los Angeles area and we have vast experience with the solutions our customers are looking for. 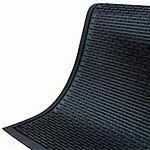 Floor mats that match their requirements for appearance, cleanliness and function. For a clean, fresh appearance and the most effective floor protection, ClassicMats and ClassicCarpets are unsurpassed. Rich, dark background colors with bright, vibrant accent colors produce a new standard in mat beauty. Enhance the image of your business with a Classic Impression logo mat. No art charges or set up fees! Simply provide us with a business card with your logo on it and we will handle the rest! 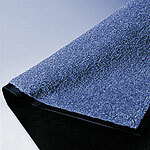 Durable 100% Nitrile Rubber mat Provides slide-resistant surface. The perfect kitchen accessory! 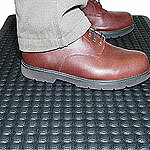 Liquids pass through, eliminating dangerous slip hazards. Anti-fatigue properties reduce strain from standing and improve productivity. The Dust-Tex Mop is an engineered cleaning tool that does more – and does it better – than any other dust mop. The looped ends on our wet mops significantly add to their life and performance. The TCell odor management system provides continuous fragrance to keep restrooms smelling clean and fresh. Good looking and top performing dispensers and paper product. A great all purpose hand soap that is tough on dirt, yet gentle to the hands. Provides instant sudsing and fresh clean fragrance Tough, yet visually appealing dispenser offers high capacity, drip-free dispensing. “Push” handle reinforces mounting with each use.